'I'm Inspector Simi from Npf A division and this is my assistant, Hassan' I said with a smile as I showed her my badge and ID card.
' I'm Omotola Comer,the manager of Ecotel Communications. What can I do for you? 'she asked. Ohhhh,She sighed. ' actually customer's privacy is one of our policy,but since its the police,I'd gladly help. Come back next week Monday, by then I would have tracked the voice and the person she called. Meanwhile let me have the recording"
"Thank you very much" I said handling her a CD,where I had burned the recording into. 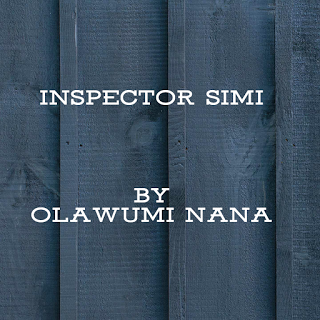 'Inspector Simi,I did as you asked me to do,' Omotolani said. I traced the call to this number, 0714260456. The name of the person is Susanne, she stays at No 24,Mafia street, Kaduna. In short these are all her details that we have here.' She said as she handed me a paper "
Soliu Ausum,the Dpo,sat behind his desk in his luxurious office,an unfriendly gleam in his eyes. He was angry.
' sit down ' he said angrily, waving impatiently . 'what's up with the case,how far have you gone. I haven't heard anything from you.
' I'm afraid now Sir,I will have to go to Kaduna for a few weeks in order to investigate the matter properly' I said looking down.
' Okay,no problem. I give you just 3 weeks. If you are unable to get to the root of this matter by then,I'm afraid ......... Anyway you can go. I stood up and left the office,looking dejected.
' Its okay, Hassan cut me off. When are we leaving?' He demanded.
' Oh! Hassan you are the best' We leave in two days time.